Publisher's Note: Products purchased from Third Party sellers are not guaranteed by the publisher for quality, authenticity, or access to any online entitlements included with the product. 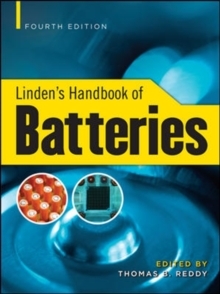 The most complete and up-to-date guide to battery technology and selectionThoroughly revised throughout, Linden's Handbook of Batteries, Fourth Editions provides authoritative coverage of the characteristics, properties, and performance of every major battery type. 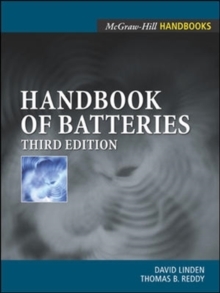 New information on emerging battery systems and their applications is included in this definitive volume. International experts offer unparalleled technical guidance on using leading-edge technologies, materials, and methods in new designs and products, and selecting the most suitable battery for a particular application. All of the in-depth data you need is contained in this comprehensive resource.